Last Saturday night, Warner Bros. hosted an evening of DC Entertainment with live Q&A discussions with the casts and creators of their current and new shows. Ian Somerhalder was the master of ceremonies and introduced each show segment to an eager Comic-Con audience inside Hall H.
We learned about Arrow, The Flash, and Gotham and their plans for the upcoming season. No new footage was shown, since they either just began filming or haven’t yet. We got to see a bit more about DC’s new shows, Legends of Tomorrow and Supergirl, the latter of which premiered its full pilot episode during the presentation. There is so much to be excited for when it comes to DC’s work in television, which has proven to be the most consistent, quality entertainment the past couple years. Luckily, the panels for all of these shows can be viewed in the video below. Comic-Con International 2015 took place from Wednesday, July 8 through Sunday, July 12 at the San Diego Convention Center. 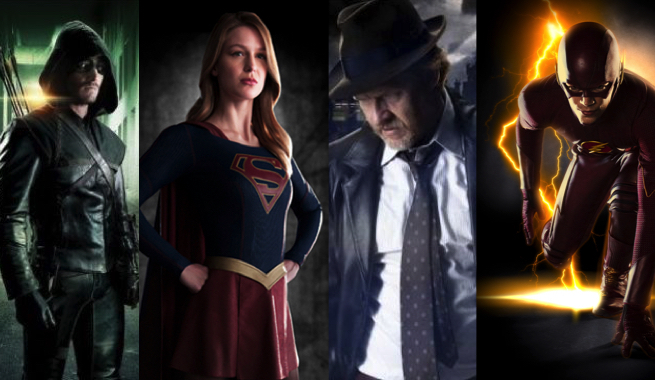 Tags Arrow Comic Con dc dc's legends of tomorrow Featured FOX Gotham SDCC 2015 supergirl The CW The Flash Warner Bros.